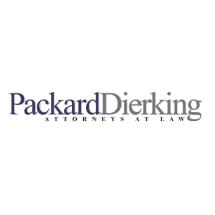 Packard and Dierking provides a full array of legal services to large and small businesses and individuals in the areas of Commercial Real Estate, Development and Land Use, Corporate/Transactional, General Business Counsel, Taxation and Estate Planning, Open Space and Conservation Easements, Environmental and Intellectual Property law. We offer a rare combination of legal expertise and business savvy, helping our clients achieve their current goals while constantly anticipating and planning for their future needs. We deliver exceptionally responsive, creative and practical solutions to our clients' problems. Our attorneys have outstanding academic credentials and large firm experience, but have chosen to practice in a small firm setting in one of the most beautiful places on earth. The result? Our clients receive the knowledge, experience and expertise of a large law firm combined with the friendly, personalized service of a small town firm. Good attorneys provide competent legal advice - great attorneys do more. In addition to providing effective legal solutions, we take the time to listen so we can personalize our service to each client's specific needs. We build long-term relationships with our clients and take great pride in helping them achieve their business goals.